It is not surprising that many women resort to restricting calories and starvation while trying to look trim. As it turns out, counting calories and starving are not the most efficient ways to get the body you desire. Most of the blame lies with the many dietary plans available today. Madalin Giorgetta, an Australian fitness blogger, repeatedly told herself that she needed to work on attaining a healthier and better shape. Although Madalin was thin, she was still unable to achieve the type of body she desired. As such, Madalin adhered to a strict 800 calorie diet on a daily basis, which might seem minuscule to a lot of people. However, she claims that the 800 calorie diet kept her full, especially since she had successfully trained her body for survival on that amount. Madalin engaged the services of a personal trainer with the aim of learning more about fitness, and his recommendations blew her mind. The professional trainer advised her to start by dramatically increasing the levels of her carbohydrate intake. The increase meant she had to eat more foods similar to sweet potatoes and banana pancakes and reduce salads. Since Madalin had been consuming about 10% carbs, her trainer’s recommendation of at least 50% carbs came as a shock. 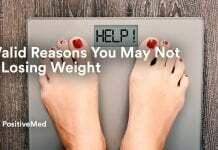 She could not fathom how ingesting at least 50 percent carbohydrates would not make her fat. As such, the calories she would have to ingest freaked her out. Madalin kept an excel spreadsheet, consultation of which revealed some interesting information. In the very first week of macros, her average calorie intake for the week was slightly over 1000. She even remembers how hard she actually struggled to consume her meals entirely. She could not even eat her lunch in a single sitting! As a result, she would just put it next to her desk, consuming it over the course of about three hours. 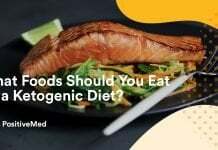 RELATED ARTICLE: FIND OUT WHAT SCIENTISTS SAY AGAINST ONE OF THE MOST POPULAR DIET (IT’S HEALTH HAZARDOUS)!